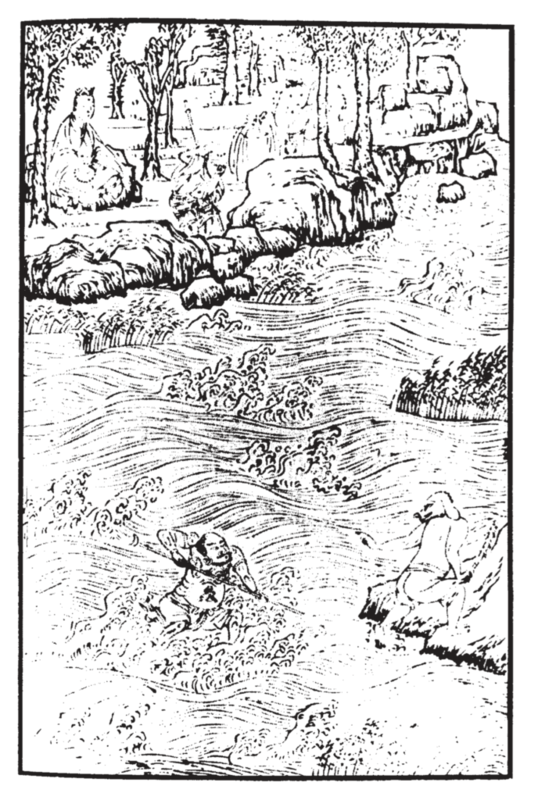 The great Chinese classic Journey to the West (Xiyouji, 西遊記) spawned numerous unofficial sequels years after its publishing in 1592. 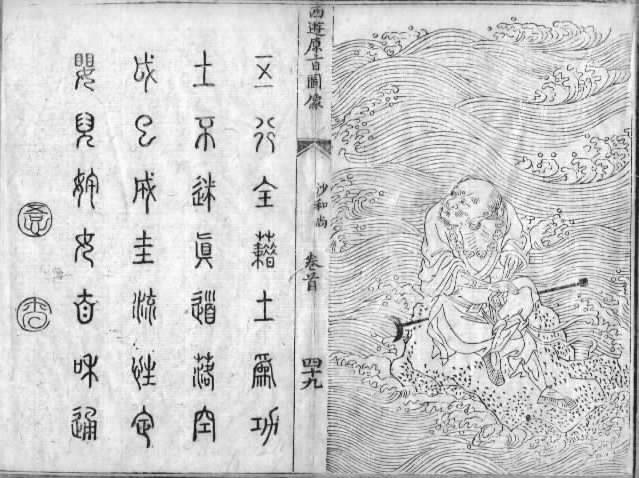 One such sequel, titled Later Journey to the West (Hou Xiyouji, 後西遊記) by an anonymous author of the 17th-century, is set two hundred years after the original and follows the adventures of Sun Wukong’s spiritual descendant Sun Luzhen (孫履真). 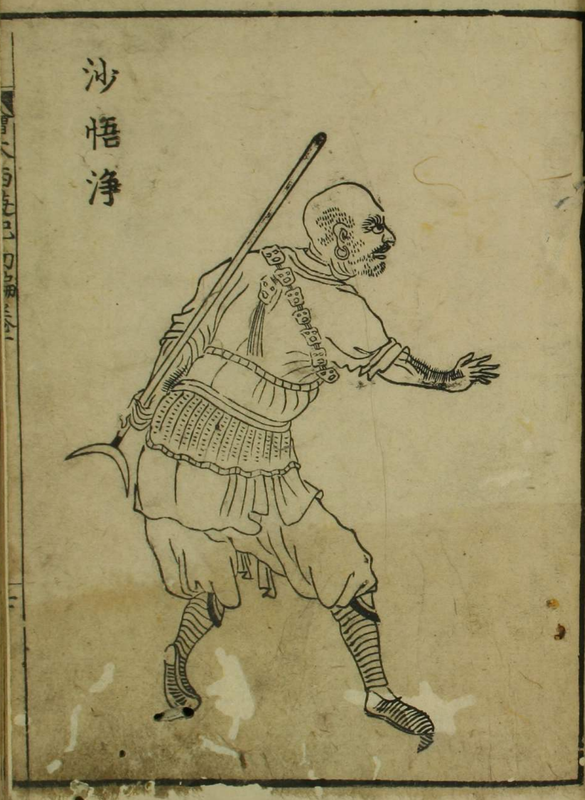 He too learns the secrets of immortality and causes havoc in heaven, before being tasked to protect the historical monk Dadian (大顛, 732-824) on a similar journey to India. The two are accompanied by the son of Zhu Bajie, Zhu Yijie (豬一戒), and the disciple of Sha Wujing, Sha Zhihe (沙致和). This may at first seem like a cookie cutter retelling of the story, but it is so much more. Unlike the original, which only used allegorical terms for given characters, Later Journey to the West is comprised of extremely dense layers of allegorical meaning, from the names of characters and the words they speak to the places they visit and the villains they face. Below, I present the first of a three-part overview (part 2 and part 3), which covers Sun Luzhen’s early adventures. I rely very heavily on the engaging work of Xiaolian Liu (1994) as the novel has yet to be published in English. Readers will notice letters of the alphabet at the end of particular sentences in the first three sections of the article. These correspond with said letters in the fourth section containing information explaining the allegorical meaning of that part of the story. The author uses the verse to announce the theme of his book and to prepare the reader for the mental or spiritual journey he is going to undertake through the experience of reading it […] [T]he novelist wants to make sure that the readers is aware of the allegorical nature of his various episodes and is ready to apply the same technique he would employ in solving a riddle to the reading of the novel, i.e. to go beyond the literal level of the text in order to find the solution or to decipher the intended message (p. 24). Fig. 1 – (Left) A depiction of Flower Fruit Mountain from a modern video game (larger version). Fig. 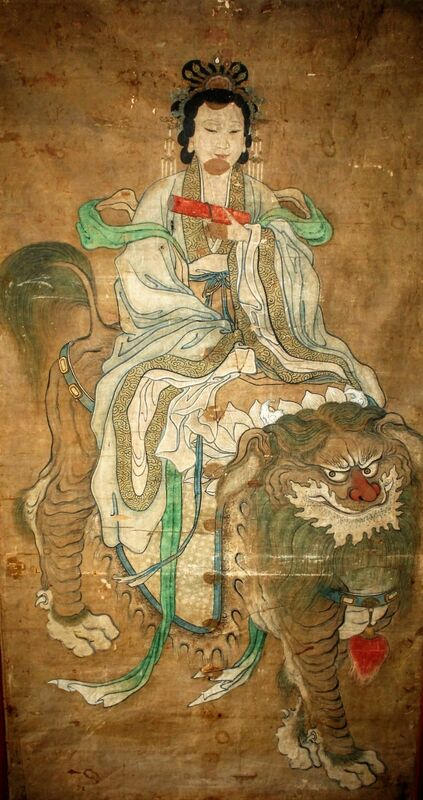 2 – (Center) A Ming Dynasty painting of the Queen Mother of the West riding a stone lion (larger version). Fig. 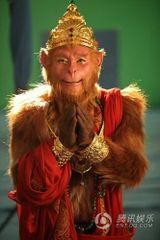 3 – (right) A live action depiction of Sun Wukong after attaining Buddhahood (larger version). 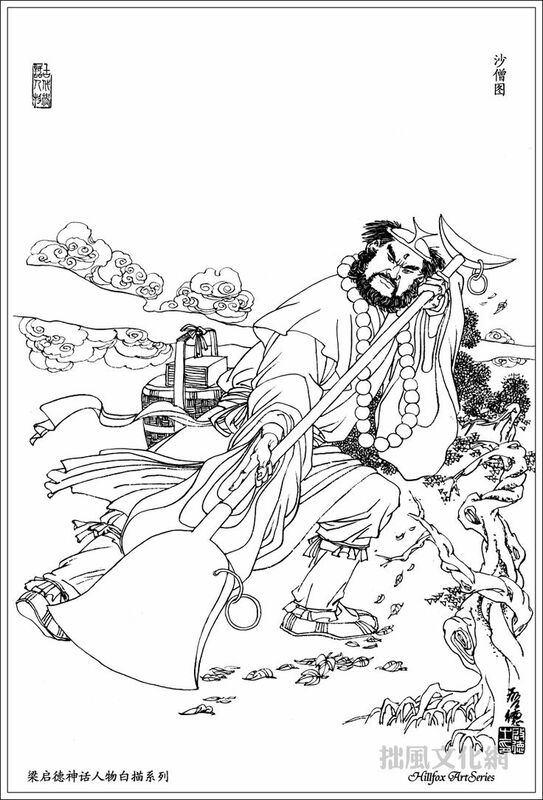 A) Just like Sun Wukong in JTTW, Sun Luzhen represents the “Monkey of the Mind” (xinyuan, 心猿), a Buddhist metaphor for the restlessness of the human mind/heart (the character of xin (心) can mean both) (pp. 27-28). B) These represent the early stages of spiritual cultivation, namely meditation and the regulation of breathing. The latter involves absorption of yang energy during prescribed times of the day. C) These animals represent yin and yang energy, respectively. 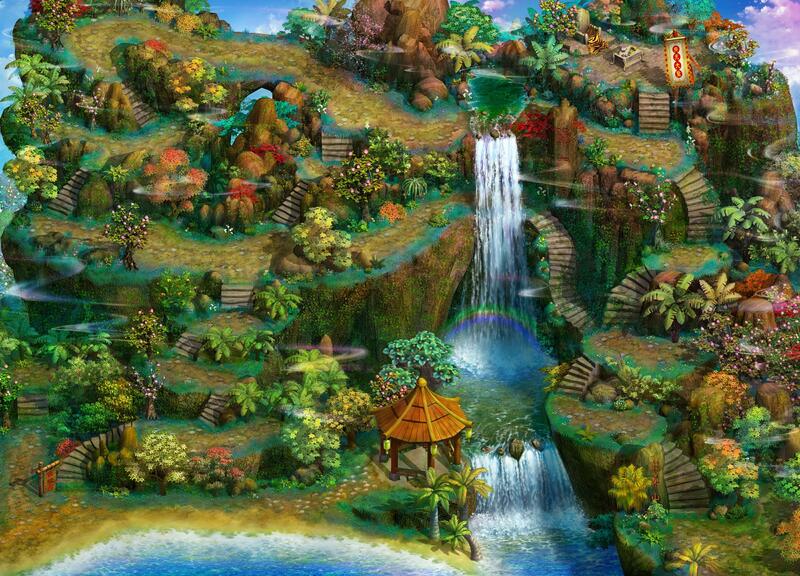 So taming said animals refers to a mastery of said energies. D) These represent areas of the body, namely a region just below the navel and the upper region of the head, respectively. See J below. E) These people represent Daoist terms associated with sexual cultivation, a brand of internal cultivation popular during the Han dynasty but fell out of favor by the Ming when the novel was written (pp. 35-37). F) These people represent the wrong path to enlightenment, including non-Chan Buddhist sects and even Daoism. 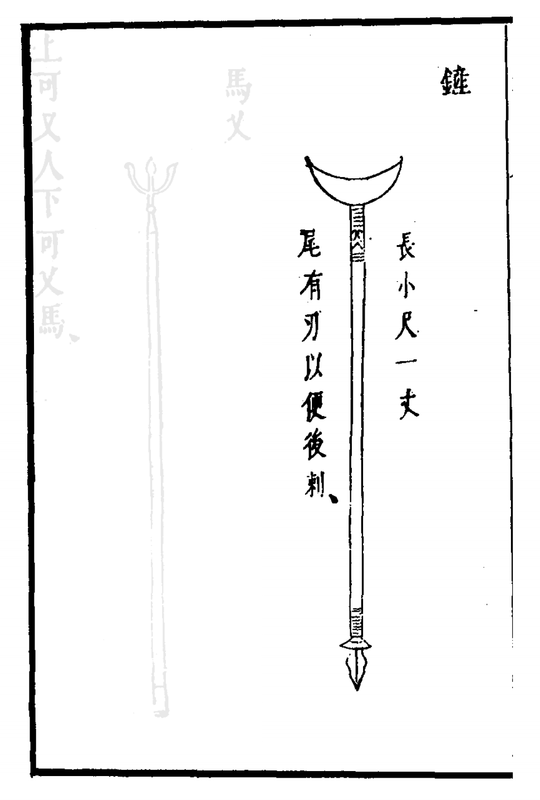 G) The name represents the Buddhist concept of Anasrava and the Daoist concept of Wulou (無漏)/Loujin (漏盡), or the cessation of emotional outpouring (or leaking) upon achieving enlightenment (p. 38). I) This follows the Daoist monk’s instructions to tame a dragon and a tiger. This again represents his mastery of yin and yang energies. J) This represents Monkey’s status as an immortal who is beyond the reach of death. I believe the downward journey symbolically follows the Daoist monk’s instructions to visit the Cinnabar Field, an area of the body below the navel normally associated with the storage of spiritual and sexual energy. 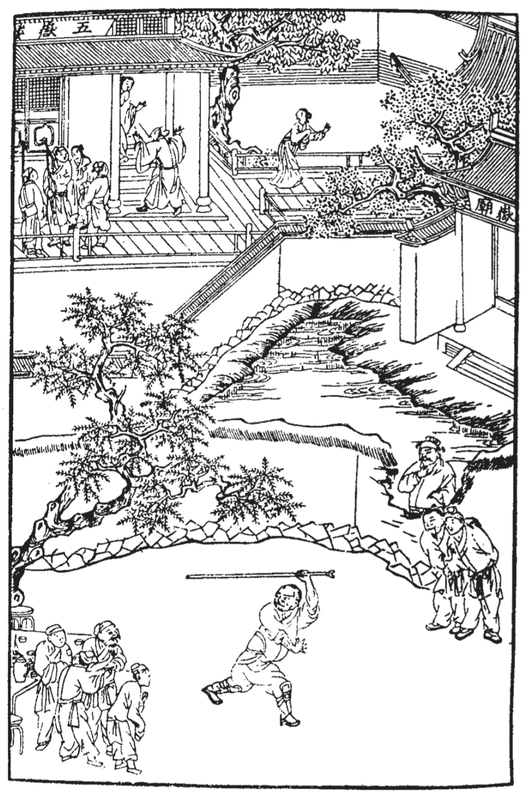 Although Liu does not say this explicitly, he does comment: “According to the Taoist microcosmic view, the human body [has] features corresponding to the cosmic universe […] For example, the Celestial Palace … and the Jasper Pool are not only the heavenly residence of the Jade Emperor and the Mother Queen [of the west], but also terms referring to the upper regions of the head” (p. 45). See K below. K) Going to heaven represents the upward propulsion of energy to the head, the last step in achieving immortality. L) As the ruler of heaven, the August Jade Emperor represents the Primary Spirit (yuanshen, 元神), or the original pure spirit that everyone is born with. This is also known as the “Heavenly Mind/Heart” (tianxin, 天心). Therefore, Monkey’s rebellion represents the attempt of the “Conscious Spirit or the Heart of Blood and Flesh” at usurping the spiritual mind before all attachments are extinguished upon enlightenment (pp. 47-48). M) This represents one’s own internal or spiritual strength. 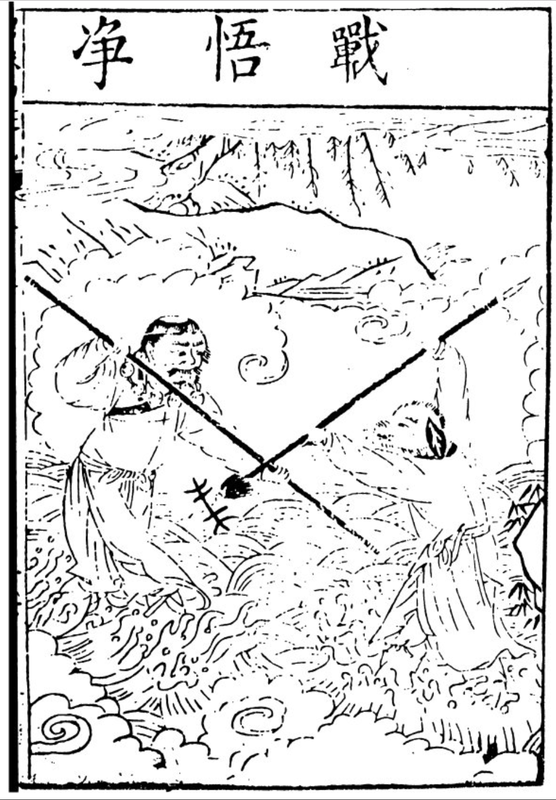 1) This mirrors the title “Great Sage Equaling Heaven” (Qitian Dasheng, 齊天大聖) taken by Sun Wukong in chapter 4 of JTTW. 2) Daoism recognizes up to five categories of immortality, each increasing in spiritual attainment from the last: 1. Ghost; 2. Human; 3. Earthly; 4. Divine; and 5. Heavenly (p. 55, n. 36). 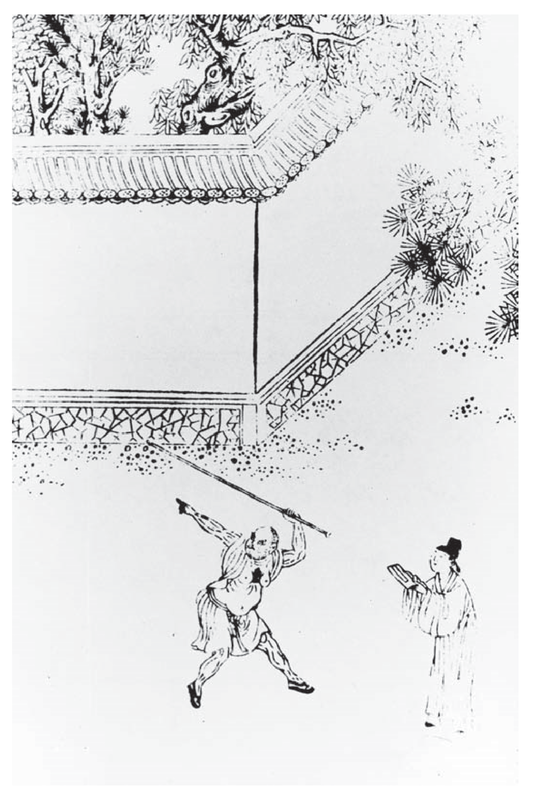 3) This contrasts with Sun Wukong who used force to erase his name (and those of all other monkeys living at that time) from the ledgers of life and death (see chapter 3 of JTTW). 4) Monkey Sr. is granted Buddhahood, along with the title “Buddha Victorious in Strife” in chapter 100 of JTTW. 5) Sun Luzhen’s drunken episode, havoc in heaven, and subjugation by a Buddha recalls the adventures of his ancestor from chapters 4 to 7 of JTTW.